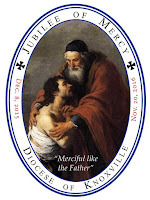 On the occasion of this past weekend's "Celebration of the Extraordinary Jubilee of Mercy in the Americas," Pope Francis sometimes sounded as if he had our US presidential campaign in mind - as, when expressing his pleasure that all the countries of America were participating, he said: "Given the many attempts to fragment, divide and set our peoples at odds such events help us to broaden our horizons and to continue our handshake; a great sign that encourages us in hope." The Pope related his message to Saint Paul's remembrance how of God's mercy had been shown to him in the past (1 Timothy 1:12-16). - an experience Paul "remembers, gives thanks for, and celebrates." Framed that way, it is our forgetting of God's mercy that so deeply wounds us and our world, "when we forget how the Lord has treated us, when we begin to judge and divide people up." As a result, we then "take on a separatist mindset, that without our realizing it, leads us to fragment our social and communal reality all the more." 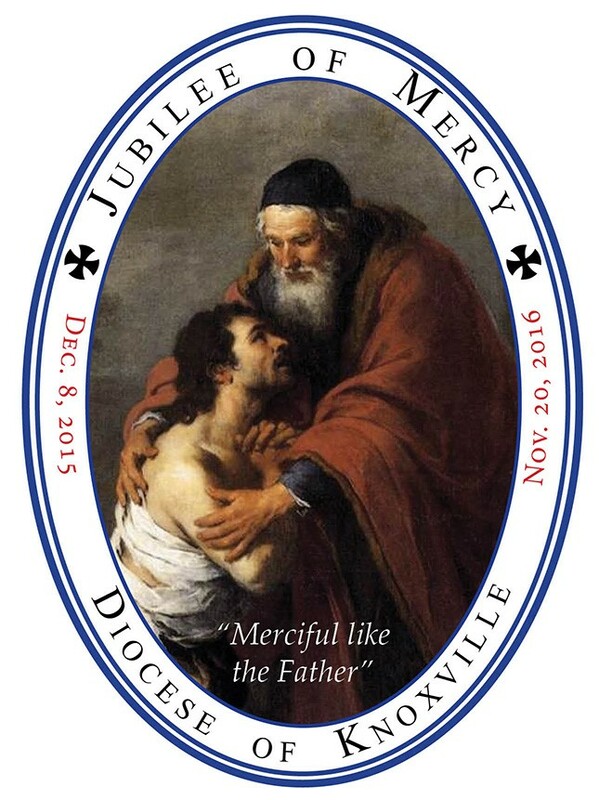 To realize that we know about being merciful because we remember God's mercy toward us - "Mercy is learned, because our Father continues to forgive us" - situates the project of this Year of Mercy not in isolated works of mercy (important though those most certainly are) but at the heart of who we have become by God's great grace. The more active our memory of forgiveness, it seems to me, then, the more the experience transforms us and makes possible the transformation of how we are with and for one another, which has enormous implications for human solidarity, one of the core conceptions of Catholic social teaching that is most obviously in need of emphsais today. Changing how we are for and with one another is made possible by our active memory of God's mercy, and it aligns our agenda with that of the merciful Father - in contrast to the tragic, worldly agenda of what Pope Francis so unhesitatingly identifies as "a fragmented culture, a throwaway culture." Here again the way the Holy Father frames the contemporary American dynamics in urgent need of just such transformation sounds so immediate in the context of the moral challenges highlighted by this election. Thus, he identifies "A culture tained by the exclusion that might threaten the interests of a few. A culture that is leaving by the roadside the faces of the elderly, children, ethnic minorities seen as a threat. A culture that little by little promotes the comfort of a few and increases the suffering of many others. A culture that is incapable of accompanying the young in their dreams but sedates them with promises of ethereal happiness and hides the living memory of their elders." Now what do you suppose they were watching for? Were they like modern journalists on the lookout for something they could trap him in, or like “Wikileaks” looking for something to disclose to a cynical and suspicious audience? The funny thing is that they were so busy observing Jesus that they probably didn’t notice that he was watching them, that he was noticing how they were choosing the places of honor at the table. They must have been taken aback a bit when Jesus took the opportunity to give them a lesson in manners. In Shakespeare’s play Macbeth [Act 3, Scene 4], when Macbeth welcomes the various lords, he assumes that they all know who ranks where (a reasonable expectation in any traditional society), and so he says to them: You know your own degrees; sit down. Jesus, however, chose instead to offer alternative advice, obviously based on the Old Testament’s Book of Proverbs: Claim no honor in the king’s presence, nor occupy the place of the great; for it is better that you be told, “Come up closer,” than that you be humbled before the prince [Proverbs 25:6-7]. In the summer of 1993, I was studying in Israel. New York’s mayor was visiting, and Jerusalem’s mayor was holding a lunch in his honor, to which an American priest I knew was invited. As he told the story later that day, he wandered into the banquet room and just sat down at a table where there were several empty seats. No one seemed to notice him or pay him any particular attention, until suddenly someone came up to him and said: “Father, here you are! You’re supposed to be at the head table!” So he followed her to the head table, all the while noticing how the very same people who had not noticed him or paid him any attention a few minutes before were now suddenly very interested in finding out who he was! Knowing my friend, I suspect such modest behavior came quite naturally to him. Others may be more manipulative, exhibiting an externally humble pose, all the while expecting a contrary compliment from others. What we now fashionably call poor self-esteem might motivate some to minimize their accomplishments in the hope of being contradicted by others who will give them the praise they think they deserve (but are afraid to claim for themselves). This can prove to be a problem, of course, if your poor self-esteem turns out to be accurate, if – instead of your humility being contradicted - when you take the lowest place, no one says, “My friend, move up to a higher position.” Most of us, I suspect, would rather not risk confirming that we do in fact belong down there in the lowest place. So frightening is that for most of us that, rather than risk it, we willingly spend much of our lives playing the dangerous game of competing constantly for the next higher position. Jesus, however, was not primarily giving his audience a lesson in manners. The kingdom of God, Jesus never seems to tire of trying to teach us, involves the complete reversal of all our ordinary expectations. So this seemingly ordinary lesson in manners served for Jesus as an extraordinary lesson to help us break through all those obsessions and preoccupations with status and reputation and image, which inhibit us from becoming the people God wants us to be. Typically in the gospels, when Jesus is a guest at someone’s home, Jesus the guest tends to take over and act as host. This incident is no exception. So Jesus, having instructed his audience on how to be a good guest, goes on to give advice on how to be a good host – advice which says something to us about what kind of host God himself is, and which tells about God’s behavior toward us and the imitation God is inviting as our response. The gospel began by telling us that the people were observing Jesus carefully. In some ways, the tragedy of so much of our history has been how much and how often we as Jesus’ disciples have failed to observe him carefully - and having failed to observe him then inevitably failing to imitate him. Jesus’ advice becomes this challenge for all of us who call ourselves his disciples. Can people look at us and say: “See how differently they do things”? Like so many in my generation, I can well remember waiting on line (in my case, outside the incomparable Loews' Paradise on the Bronx's Grand Concourse) to see the 1959 epic film version of Ben-Hur, which then had the largest budget of any film produced at that time ($15 million plus). The movie itself - directed by William Wyler and produced by Sam Zimbalist for MGM and famously starring Charlton Heston in the title role - was, of course, itself a remake of a famous 1925 silent film, both based on Lew Wallace's best-selling 1880 novel, Ben-Hur: a Tale of the Christ, which was considered one of the most influential Christian-themed religious books of its time. Apparently, it is now time for a remake of the movie, which., however, unlike the more famous earlier version, has opened to more negative reviews. Inevitably, a remake has a lot to live up to, on the one hand, while, on the other, we live now in a more negative time. That said, I went to see it today. And, while I wouldn't go out of my way to discourage anyone from seeing it, my reaction to this remake is mixed at best. Bearing in mind that I was only 11 when I saw the 1959 epic and was therefore presumably more easily impressed than I am now, even so I feel compelled to conclude that this remake cannot quite compare. And it is impossible to avoid the comparison. The only thing the remake really has going for it over the earlier version is that it is mercifully shorter (123 minutes as opposed to 212). I just don't have it in me to sit through a movie of such length anymore! Perhaps because it is shorter, the remake also leaves out memorable features from the earlier version. The 1959 film began - as does the book - with the Nativity, which clearly sent the message that, whatever else we were going to be treated to in the film, its frame is the gospel story. In the remake, the Nativity story is completely absent - as is the whole Quintus Arius sub-plot, which is also a loss to the full sense of the story in my opinion. There is no getting around the miraculous in the healing of judah's mother and sister from their leprosy in the cleansing rain that accompanied Jesus' death. But, beyond that, the supernatural dimension of the movie seems somewhat flat. Judah's wife Esther does her best to evangelize her husband, but Judah's conversion seems in the end less about the new world-altering religion of the Christ than it is about an (admittedly) life-changing but humanistic acceptance of the psychological and social value of mutual forgiveness and reconciliation over the dead-end of violence and vengeance. It is not that the film isn't trying to witness to the gospel story. It seems rather that it is confused about how to do so in a way that isn't ultimately more therapeutic than religious. Once, during my Windsor Castle sabbatical in 2005, it was my turn to write the customary thank-you note to that day's outside speaker. Preparing to do so, I politely inquired at the Saint George's House office about access to a printer. I had brought a lap-top with me (purchased it for the occasion, in fact), and so could compose such a letter easily enough, but I had no means to print it out prior to mailing it. My concern was ever so politely dismissed. Why wasn't I going to write the note by hand? That option, obviously, had not occurred to me. It was explained to me, however, that a hand-written letter would be more appreciated. And so I wrote it by hand - probably the last real "letter" I ever composed by hand! I still took class notes by hand - as recently as my course at the Congregation of the Causes of Saints in Rome in 2012, which also entailed a hand-written in-class exam!. But, beginning with my undergraduate class papers in the late 1960s, typing became the increasingly normative way of putting thoughts on paper for presentation to others - a process infinitely accelerated (and increasingly expanded to include material composed for myself alone) by the acquisition of my first computer in 1995. Other than my signature and an occasional brief reminder note to myself, I hardly ever write anything in script anymore. I thought of all this today as I read Jessica Kerwin Jenkins' review of Anne Trubek's The History and Uncertain Future of Handwriting in this coming Sunday's NY Times Book Review. Now I obviously haven't read Trubek's book, but my impression is that the reviewer is more strongly invested in highlighting the value of traditional penmanship than the book itself is. For example, she faults the author for "underplaying the contemporary research that shows handwriting's role in cognitive development." Apparently, "a child drawing a letter freehand activates the neurological centers that reading and writing do in adults, while using a keyboard produces little effect. Children composing text by hand generate more words more quickly, and also express more ideas. Students who take class noted by hand better retain that information," etc. Who knew? Apparently the French - who "surveyed the evidence and began teaching connected script even earlier, at age 6." Good for them! Of course, the French have always taken their civilization and culture more seriously - and more worth fighting the good fight to preserve! Back when some of my younger relatives were in elementary school, I was appalled to learn that in their school system they routinely printed rather than wrote in cursive. But I assumed my reaction was my usual mixture of nostalgia and traditionalism - by no means to be minimized or disparaged for that reason, but hardly to be invested with arguments from contemporary scientific research! Not being a scientist myself, however, I continue to lament the loss of cursive script (both my own personal infrequent use of it and our society's increasing loss of it) more on cultural grounds - that time-honored mixture of nostalgia and traditionalism that recognizes a real cultural calamity when it sees one and can only worry what the wider negative cultural and civilizational implications will be. The film Florence Foster Jenkins is a great movie (as one would expect with Meryl Streep in the starring role). But the fact that it is based on such a truly amazing story makes it even more compelling. Originally from Pennsylvania, the real Florence Foster Jenkins (1868-1944) was a 20th-century, New York socialite, who had a lifelong passion for public musical performance, which she usually indulged only in carefully controlled situations, except for her final concert - at Carnegie Hall in October 1944. That was more widely attended and exposed her to more critical reviews, which may (as the movie suggests) have precipitated her death the following month. In the movie version, she seems unaware of how bad her singing is and what a joke it seems to others - until she experiences authentic reactions to her Carnegie Hall recital. Her final words in the film were People may say I can't sing, but no one can ever say I didn't sing. The film captures the flamboyance and the humor (and sadness and loneliness) of her life very well, and Meryl Streep does an excellent job imitating Madame Florence's terrible singing. The movie also captures her strange network of relationships - especially her curious relationship with her second "husband", mediocre Shakespearian actor St. Clair Bayfield (Hugh Grant) and with her young pianist Cosme McMoon (Simon Helberg). An interesting question - in the light of contemporary medicine - is whether the syphilis she contracted from her first husband and her consequent series of health problems contributed to her poor performance. Today, of course, her syphilis could have been cured - and she might have well become a better singer. but perhaps her singling would have been just mediocre - as opposed to so flamboyantly bad - and her performances and indeed her life would have attracted less attention and interest as a result. Who can say? From the perspective of an absolutist obsession with "truth," her wealth appears in this film as the great corruptor - allowing her to indulge her fantasy and buying off others to play along (who are mostly more than willing to do so for the financial benefits her charade provided them). But one could also look upon her wealth as simply providing her with the opportunity few others ever get to experience life at a fuller level than her talents would otherwise have allowed - to indulge a harmless fantasy that in the end not only gave joy to her life but brought a lot of much-welcomed joy to others as well. People may say I can't sing, but no one can ever say I didn't sing! Today, the octave day of the Assumption, the Church celebrates the Queenship of the Blessed Virgin Mary, complementing and completing the 4th glorious mystery, Mary's assumption, with the 5th, her queenly "coronation." In 1953, when Pope Pius XII's Commission for the Reform of the Sacred Liturgy was debating whether to support the establishment of this popularly requested feast, its introduction was seen as presenting the Mother of God in the context of the fullness of her glory. At a subsequent session early in 1954, the future Cardinal Bea further related Mary's Queenship to her continued role in the Church. Complementing that development, the intercessory dimension of Mary's continued role in the Church in the fullness of her glory was highlighted in the Office of the 1954 feast by a sermon of Saint Bonaventure (1221-1274), in which he spoke of God's grace coming to us through Mary "as through an aqueduct." Bonaventure presented Mary as a Queen who "sues for forgiveness, overcomes strife, distributes grace, and as a result leads us to glory." Instead of Saint Bonaventure, the post-conciliar Office features a homily by Saint Amadeus of Lausanne (1110-1159), who likewise presents Mary, if not as a classical aqueduct, then as a kind of irrigation channel. "With divine assistance she has redirected these waters [that flow down from Mount Zion] and made them into streams of peace and pools of grace." The doctrine of the assumption highlights Mary's participation in her Son's glory, an anticipation of our own eventual participation in that glory. But the imagery of her queenship appropriates that glory for us in Mary's continued role in the Church on our behalf - in the here and now between Easter and the end. Today, the Solemnity of the Assumption, also happens to be the 50th anniversary of Blessed Pope Paul VI's Apostolic Letter Sacrificium Laudis ("Sacrifice of Praise"), which was addressed to the general superiors of clerical religious institutes obliged to choral recitation of the Divine Office. Like so much of the post-conciliar liturgical legislation - indeed like much of Vatican II's liturgical constitution itself - much of its wisdom was quickly lost in the weirdness of the 1960s, with deleterious consequences both for religious communities and for the overall life of the Church. Well, that is an old battle in a long-ago war, its outcome long-since settled. For better or for worse, we are all the heirs of the 1960s. That is who we have become, and the challenge is not to try to recreate some artificially idealized past but to make the best of what the present offers and build anew for the future. Still, the Pope's lament about the loss of the Church's song seems not just poignant but prophetic. Pope Paul realized that the ultimate issue was not just one of language but the very nature and survival of the choral office itself. He warned communities bound to choir that their way of celebrating the choral office had been one of the factors underlying the survival of those communities. and he wondered whether people would still frequent those communities' churches if the Church's song was no longer sung there. Switching from audio to visual imagery, he called the potential alternative "a snuffed candle," neither giving light nor attracting others. In fact, however, such a sad state of affairs had already become normative in much of the modern Church. The French Revolution and its attendant movements and conflicts had led to widespread suppressions of religious houses and entire religious communities. In earlier centuries there had been multiple opportunities all over Catholic Europe for the faithful to experience the sung Office publicly celebrated on a daily basis. The cataclysmic breakdown of organized religious life thanks to the suppression of religious houses and the consequent numerical decline of religious communities deprived the ordinary Catholic layperson (and not a few members of religious communities) of any real opportunity to participate in the sung Office. The Office survived into modern times primarily as the opposite of what it was supposed to be - as something to be read, rather than sung, by clerics and religious, a duty done largely individually and in private. 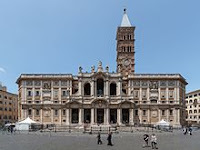 Prior to the 1st Vatican Council, proposals were indeed made to "reform" the liturgy and in particular the Office, but not for widely restoring the public sung conventual Office. When I was growing up on the eve of Vatican II, the only access I would have had to the public sung conventual Office would have been if I had had occasion to travel downtown to Saint Patrick's Cathedral, where Solemn Vespers were sung on Sundays (only) at 4:00 p.m. In the aftermath of the Council even that minimal concession to the public sung character of the Office would eventually disappear. Of course, the Council itself proposed the opposite. 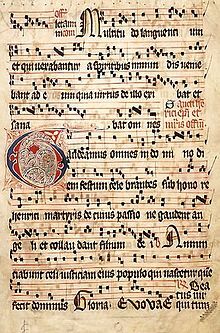 It recommended recitation of the Office in common even by clerics not bound to choir and called for at least Vespers to be sung on at least Sundays and greater feasts. But then the weirdness of the sixties took over, and the Church's song grew even fainter and rarer than it had already been before the Council. History shows how easy it has so often been to destroy the legacy of the past. The challenge of constructing a viable Christian community life in the present period is to start building for the future - not artificially rebuilding what has been irretrievably lost but building a new structure for the Church's communal prayer, properly rooted so that it can salvage the spirit of the ancient Office in a way that can be made meaningful in a post-modern Church. Several years ago, I read a wonderful biography of Prince Philip of Hesse, who died in 1980, and was head of the distinguished dynasty that had ruled part of central Germany until the 19th-century unification of Germany. One of the book’s themes is the interconnectedness of Europe’s princely families and the drama of those relationships during the 1st and 2nd World Wars, when royal relatives found themselves divided from one another by forces beyond their control. Philip himself was a nephew of the German Emperor, William II, whose Prussian dynasty had earlier dispossessed Philip’s family. During World War I, Philip’s cousin, Britain’s King George V, was his country’s principal enemy. In World War II, Philip’s father-in-law, King Victor Emmanuel III of Italy, was an ally who famously switched sides midway through the war, with consequences catastrophic for Philip and fatal for his wife, the Princess Mafalda, who died in a German concentration camp 72 years ago this month. Royalty, of course, are not the only ones divided by wars. The American Revolution famously found Benjamin Franklin and his son on opposite sides, while in the Civil War Abraham Lincoln’s brothers-in-law fought for the Confederacy – family divisions that were widely replicated in the experience of so many families at all levels of society. Nor are wars the only causes of family conflict. We all know, perhaps from our own experience, how common conflicts can be among those closest to one another – and how painful that experience can be precisely because of the bond that binds family members to one another, like it or not. Jesus in today’s Gospel [Luke 12:49-53] used possible family conflict to illustrate his larger point about what was expected of every disciple. It’s a fact of life is that saying “Yes” to some one particular person, cause, or commitment entails saying “no” to other options. So it is with following Jesus, a commitment that changes everything. In this matter, Jesus himself set the standard. After all, Jesus did not die peacefully in his bed or casually while on vacation at the beach. Rather his death was due directly to the way he lived and the opposition that produced. Of course, no one wants to be at odds with one’s family, friends, country, or whatever. No one should ever want conflict. But conflict happens – not always, but often enough, and especially in those great either/or choices that produce martyrs (and almost martyrs, like poor Jeremiah in today’s 1st reading). One of modern history’s more sobering facts is that the 20th century produced more Christian martyrs than any previous century, a pattern that seems to have continued into this 21st century, as recent events have reminded us. And then there are all the ordinary situations, which lack the high drama of martyrdom, but which can on occasion also call for doing something different from what one would otherwise have done, even at the risk of opposition. Of course, we would all prefer a calm, untroubled life, in a calm, conflict-free world. We voice that sentiment every day when we pray that we may be always free from sin and safe from all distress. It’s not conflict per se to which Jesus calls us. It is rather his mission - setting the earth on fire - to which he calls us and faithfulness to which he challenges us – fidelity what matters most, to our true purpose in life, and to what needs to be done (or not done). It is the constant, life-long challenge to let ourselves be transformed by God’s grace into the persons God wants us to be – and being thus transformed while still a part of an otherwise untransformed world. But, because we live in an otherwise untransformed world, that transforming experience can at times really resemble a sword separating us from whoever or whatever we would otherwise have so readily clung to. Jesus does indeed promise peace to his disciples – the peace of his kingdom, a very different peace from a momentary absence of conflict. As Christians, we must never go around with a religious or cultural chip on our shoulder as if we were spoiling for a fight. After all, the fruits of the Holy Spirit include love, joy, and peace – not hatred, hostility, and anger! The Christian challenge, rather, is always to build bridges, not walls – and so pave the way for more and more people to experience the peace and unity of God’s kingdom, yet all the while still struggling against an unconverted and untransformed and hence potentially hostile world. According to the account in Genesis, Abraham - at the astonishing age of 75 (when most of us are ready to stop or at least slow down) – was commanded by God to move from his ancestral home to a new land which God promised would belong (eventually) to his descendants. Of course, my move (when I moved here six years ago) was nowhere near so dramatic. I got on a plane at Newark airport and two hours later landed in Knoxville. I did, however, have many boxes of books and other personal possessions shipped ahead of me – more probably than I really needed to take. Often when we preach about such things we emphasize how possessions way one down and get in the way. Abraham, on the other hand, we are told traveled with his wife, his nephew Lot, and their herds of animals and whatever other possessions he (and they) had accumulated in those 75 years. The New Testament author of the Letter to the Hebrews rightly wanted to emphasize Abraham’s faith. And surely Abraham’s faith was the most important thing he brought with him to the Promised Land, but I think that those other people and things that he brought along mattered to him too. Jesus famously told his disciples to travel light. Detachment from other people and from possessions is important – and at times absolutely necessary. And that is why we usually put the emphasis there when we talk about relationships and possessions. Still, as Aristotle insisted, a life without friendships would be hard to bear. And Jesus himself valued his friendships, as did his disciples in the early Church. As for things, they can be pretty attractive too – in harmful ways to be sure, but also in ways that are not altogether bad. All those gadgets we accumulate may weigh us down with possessions and possessiveness, but they can also make our lives easier and more fulfilling in some fundamental ways which help us become better people. As for all those iphones and computers that make our social interactions seem so artificial, the fact is that they also make some social interactions possible that wouldn’t even happen otherwise. And one of the important lessons these six years of parish ministry have impressed upon me is that the mission of the church depends for its success on the mission of the parish, and that the mission of the parish presumes caring about people and nourishing human relationships as well as caring for things, like maintaining buildings and raising funds. Mission and maintenance are not opposed. They go together, and each requires the other. So I think Abraham basically got it right when he realized - probably instinctively without thinking much about it - that living productively in this world and maintaining fulfilling human relationships are important values in themselves and will always require paying significant attention to other people and things. But what made Abraham’s human relationships and possessions so especially meaningful and gave them a whole new dimension was the confident faith that freed him always to respond trustingly to God’s commands, no matter what else may have been on his mind. So it must be for all of us, as we navigate our way through the ordinary demands of daily life and the extraordinary challenges of this troubled time in which we live. A faith like Abraham’s invites us to recognize in the challenges we encounter new opportunities to respond to, new opportunities to rediscover the heart of who and what we are fundamentally meant to become by means of our relationships with other people and things – and so become the people we hope to be when we settle down once and for all forever in God’s kingdom. Homily for the 19th Sunday in Ordinary Time, Immaculate Conception Church, Knoxville, TN, Agust 7, 2016. I remember the TV image of the Emperor at the 1964 Tokyo Olympics and the Black athletes' protest gesture at the 1968 Mexico Olympics, but it wasn't until 1972 when I paid serious attention, first watching the Opening ceremony and then being riveted by the drama of the Israeli athletes taken hostage and them murdered by Palestinian terrorists. I remember the bilingualism of the 1976 Montreal Olympics, the U.S. boycott of the 1980 Moscow Olympics, and the corresponding Soviet boycott of the 1984 Olympics in LA. I remember absolutely nothing about the 1988 Seoul Olympics. For sentimental reasons I sympathized with those who thought Athens (instead of Atlanta) should have gotten the 1996 "Centennial" olympics, and so was happy for Athens when it got the 2004 Olympics. I barely took any notice of the 2000 Olympics in Sydney and dismissed the opening show for the 2008 Bejing Olympics as totalitarian propaganda. On the other hand, I was enjoying my sabbatical program at Windsor Castle on July 6, 2005, when London was awarded the 2012 Olympics and so joined in the general rejoicing. Seven years later I watched the London ceremonies with interest and enjoyment. Through all those years, however, and increasingly so with each "Olympiad," I have become more and more convinced that these extravaganzas are a misguided waste of resources and attention. Baron Pierre de Coubertin's classicist nostalgia to recreate the ancient olympics in modern form may have made some sense in an aristocratic culture of genteel athletic competition, but from the beginning the gulf between his olympic ideals and the actual olympic reality has been wide - and keeps getting wider. Far from promoting "peace through sport," the Olympics have always been highly politicized, have provided ever increasing opportunities for corruption and exploitation, and have more often than not left a sour after-taste behind them. Sure, we could all use a good show and some entertainment to take our minds off the election! But, even without the Zika virus, the insistence on putting on the Olympics in as hygienically challenged and politically problematic a place as Rio ought to give even enthusiasts for the ongoing olympic circus reason to pause. Hopefully, it will all go off well, and Rio will be a good experience for all involved. Personally, however, I have long sympathized with those who argue for confining the Olympics to one permanent site - a modern version of ancient Olympia, the religious sanctuary in Elis on the Peloponnese peninsula, where the actual ancient Olympics regularly took place from 776 BC to 393 AD. But that's probably my love for antiquity speaking, more than common sense. But better than any of the proposed fixes, what about just abolishing them as a bad idea whose time has come and gone? Presumably, Emperor Theodosius the Great would agree. 50 years ago, at a very difficult time in my life, I occasionally attended Mass at a church in Queens called Our Lady of the Snows. The apocryphal legend of the miraculous snowfall on Rome's Esquiline Hill on August 5, sometime during the reign of Pope Liberius (352-356), is still commemorated by the white rose petals which fall from the dome during the celebration of the Mass on this day in the Basilica of Saint Mary Major, whose dedication feast the Church celebrates today - a really nice touch during the rigors of summer! The Basilica of Saint Mary Major, on the summit of the Esquiline Hill, one of the 4 Papal Basilicas (the smallest) and one of the 7 traditional pilgrimage churches of Rome, was one of the first churches built in honor or Mary after the Council of Ephesus (431) acknowledged her title as "Mother of God." It was the traditional stational church for the principal Mass on Christmas and Easter, as well as on the 4 Ember Wednesdays and other occasions. Under the high altar of the basilica is the Altar of the Crib (Sancta Maria ad Praesepe) with a reliquary said to contain four boards of sycamore wood from the original Crib of Bethlehem. It was the traditional station for the Christmas Midnight Mass. Saint Ignatius of Loyola celebrated his first Mass there on December 25, 1538. (It is said that Saint Ignatius had wanted to celebrate his first Mass in the Holy Land. 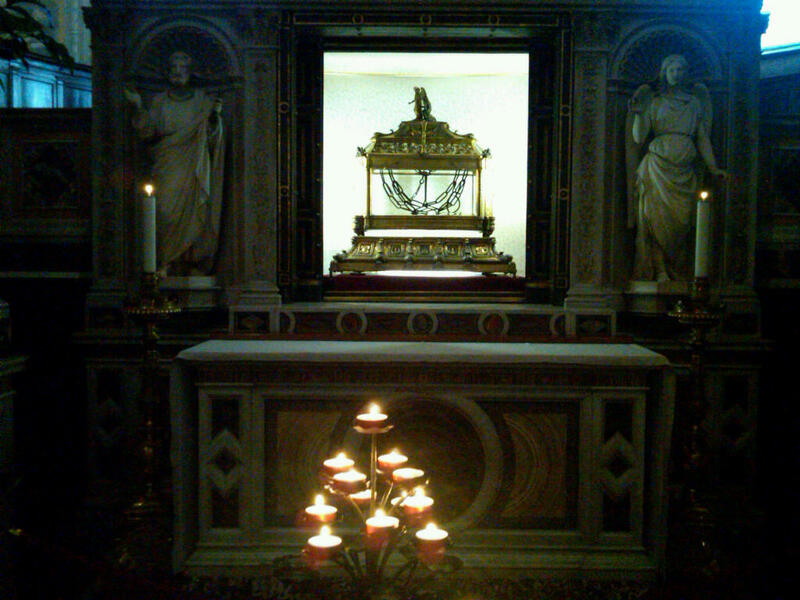 So the Altar of the Crib at Saint Mary Major, with its relic from Bethlehem, seemed the next best place!) Also, Saint Jerome, the 4th-century Doctor of the Church who translated the Bible into Latin (the Latin Vulgate) is buried there. Saint Mary Major is often said to be the most popular of the papal basilicas among Romans themselves. 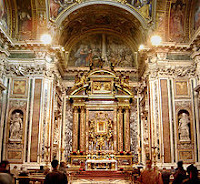 Enshrined in the Basilica's Borghese Chapel of the Basilica is the famous image of the Virgin Mary - Salus Populi Romani ("Salvation of the Roman People"), which may be the oldest Marian image in Rome. Servant of God Isaac Hecker prayed before that image after his expulsion from the Redemptorists, which is why a copy of that image is displayed in my church where people are encouraged to pray for Hecker's canonization cause. Pope Francis has regularly visited the Salus Populi Romani image to pray there in connection with his apostolic journeys. 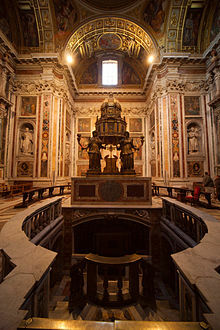 Eugenio Pacelli, the future Pope Pius XII celebrated his first Mass in the Borghese chapel in 1899. In 1953, the image was carried through Rome to begin the first Marian year in Church history. The next year, Pope Pius XII crowned it when he established the new feast of the Queenship of Mary. (For that event, see: https://www.youtube.com/watch?v=p-jClYMkUrM).May Mary under the title of Salvation fo the Roman People continue to bestow her protection on the entire Roman Church throughout the world in these challenging and difficult days! Among the old European pagan festivals that have impacted our Christian calendar, the ancient harvest festival of Lamas Day on August 1 - midway between the summer solstice and the autumnal equinox - is among the less well-known. In today's post-Christian paganism, it is certain dwarfed by Samhain, the ancestor of both the Christian and the contemporary Halloween. And some of our surviving Christian festivals like Christmas and even Candlemas keep the customs of their pagan antecedents more conspicuously in view. In the Celtic way of computing the seasons, today would thus mark the beginning of autumn - a nice thought as we continue to suffer through the summer's heat. By this point in summer I am always eagerly looking for any sing of the seasons to come! In fact in many places today, the beginning of August does herald the next season, as vacations come to an end and schools prepare to resume in another week or so. Until 1960, Lamas Day survived in the Christian calendar as the feast of Saint Peter in Chains. Hence the title of the Cadfael story set at Lamastide. 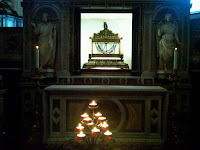 (The photo above is of the relics of Saint Peter's Chains on display in the Basilica of that name - San Pietro in Vinculi - in Rome.) It was also the ancient feast of the Seven Maccabees, those heroic Old Testament martyrs, whose heroic sacrifice of their lives anticipated the many martyrs of the New Testament and the age of the Church up until our own day which is seeing so many new martyrs - as recently as last week. Meanwhile, Election Day is now 99 days away. I am old enough to remember when presidential campaigns were more or less thought of as autumnal events happening every only fourth year. But, thanks to our unhealthy political polarization, campaigns are now for all practical purposes permanent and continuous - with clearly catastrophic consequences for governance. All that the post-convention period actually adds is a designated candidate (who nowadays has usually been informally designated already by our problematic primary process) and count-down closeness to the final Election Day deadline. Despite all that, this will certainly not be an election to skip, however strong the temptation to do so! Certainly, this will not be one of those campaigns that seem to be fought over trivial issues or in which the candidates express only mildly different policies and mildly different views of the world. However unruly and snarky the performance, the stage has nonetheless been set for one of the most consequential elections in modern American history.